There are many reasons why people choose a career in web development: a well-paid job, a new challenge, ability to be creative, or greater job security. I've seen my students leave monotonous jobs or dead-end careers and enter an exciting new stage in their life. When that happens - when students get their first dev job after finishing the bootcamp - that's what gives me the greatest joy and most meaning in my own career as an instructor. So I want to create the same life-changing, career-making events with the less advantaged, and make an even greater difference in people's lives. Rwanda is a small, landlocked, country with few natural resources. That's why they're putting a lot of hope in turning Rwanda into a beacon of tech and ingenuity in East Africa. 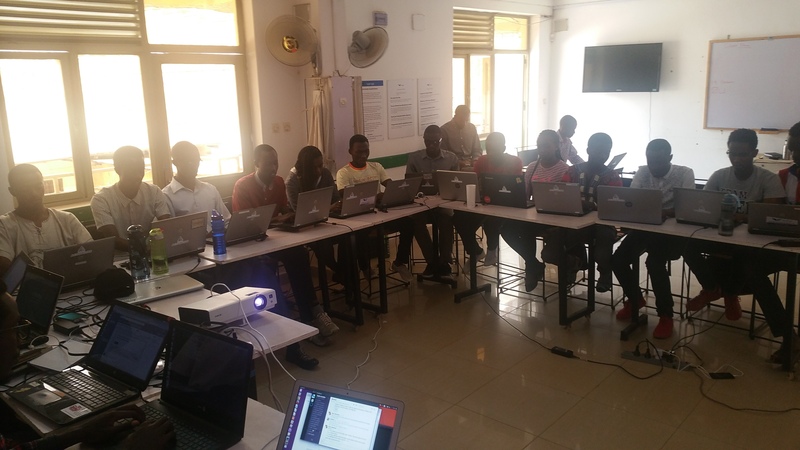 I may not have the capital to start the next thrilling startup in Rwanda, but I can spend the next five months training 20 Rwandan college students and turning them into engineers, helping them build the IT infrastructure there is growing demand for. None of this would have been possible without the support of our CEO and founder Jay Wengrow for sponsoring this, and our partnering organization in this venture - Kepler, the non-profit whose students and facilities are helping to make this happen. I'm already so optimistic about what I'll be able to achieve when I'm there. I have already met my students - and these are some of the most driven students I've ever encountered. This is what really matters to me. They may not have much, and we'll have pretty simple hardware, but with their drive, ambition and hard work I know they're going to accomplish amazing things. I'll be blogging throughout the next 5 months, to keep you posted on how's it going. What an exciting time! Make sure to book a tour here to see if coding is a career for you!